Crown measures 10" deep, 10" wide. ONE SIZE fits most, from 6-7 5/8. 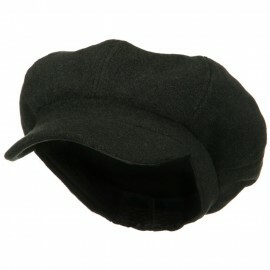 Available in Black, Brown, Khaki, Pink, Red, Sage-Green, and White. 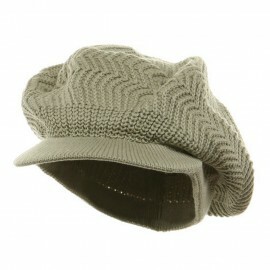 Your head and locks will be well covered in this Jamaican style large crowned, solid brown cotton beanie with visor. 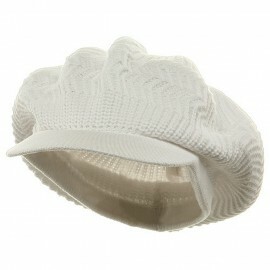 The knit is thick and chunky, of herringbone and rib weave, for insulating warmth to keep the cold out while preventing overheating with its natural ventilation, The oversized crown is constructed out of 1 panel of medium knit with a gather at the center of the top of the crown, for a roomy domed shape. 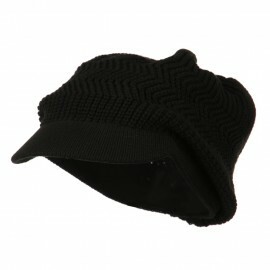 Equipped with an ample visor to keep out the sun or snow, the opening of the hat is trimmed with elasticized ribbing to ensure a comfortable secure fit. Wear this hat with all of your locks under wraps or sport this hat with its crown pulled back and your locks free for a more casual look.